Most challenges in developing advanced technologies involve handling infrequent or uncommon situations, or events that require performance beyond a system’s normal capabilities. That’s definitely true for autonomous vehicles. Some on-road examples might be navigating construction zones, encountering a horse and buggy, or seeing graffiti that looks like a stop sign. 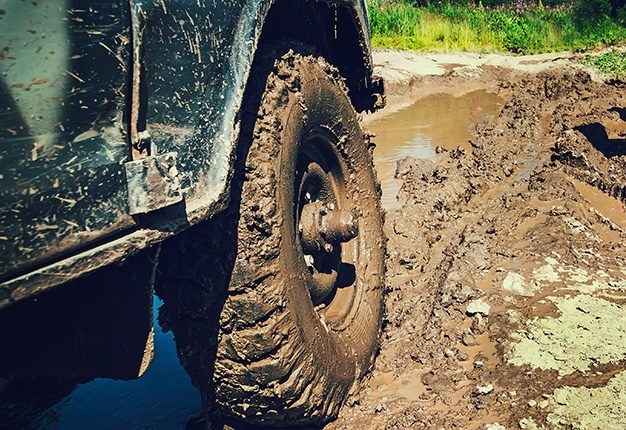 Off-road, the possibilities include the full variety of the natural world, such as trees down over the road, flooding and large puddles – or even animals blocking the way. At Mississippi State University’s Center for Advanced Vehicular Systems, we have taken up the challenge of training algorithms to respond to circumstances that almost never happen, are difficult to predict and are complex to create. We seek to put autonomous cars in the hardest possible scenario: driving in an area the car has no prior knowledge of, with no reliable infrastructure like road paint and traffic signs, and in an unknown environment where it’s just as likely to see a cactus as a polar bear. Our work combines virtual technology and the real world. We create advanced simulations of lifelike outdoor scenes, which we use to train artificial intelligence algorithms to take a camera feed and classify what it sees, labeling trees, sky, open paths and potential obstacles. Then we transfer those algorithms to a purpose-built all-wheel-drive test vehicle and send it out on our dedicated off-road test track, where we can see how our algorithms work and collect more data to feed into our simulations. Simulations are only as good as their portrayals of the real world. Mississippi State University has purchased 50 acres of land on which we are developing a test track for off-road autonomous vehicles. The property is excellent for off-road testing, with unusually steep grades for our area of Mississippi – up to 60 percent inclines – and a very diverse population of plants. We have selected certain natural features of this land that we expect will be particularly challenging for self-driving vehicles, and replicated them exactly in our simulator. That allows us to directly compare results from the simulation and real-life attempts to navigate the actual land. Eventually, we’ll create similar real and virtual pairings of other types of landscapes to improve our vehicle’s capabilities.